The race-car world of NASCAR meets the Las Vegas-inspired world of Michael Godard with the Nasbar Wall Clock from Michael Godard Designs. Red neon surrounds a fun scene of a pit crew in the heat of the action, all of which are Godard's famous martini olive characters. 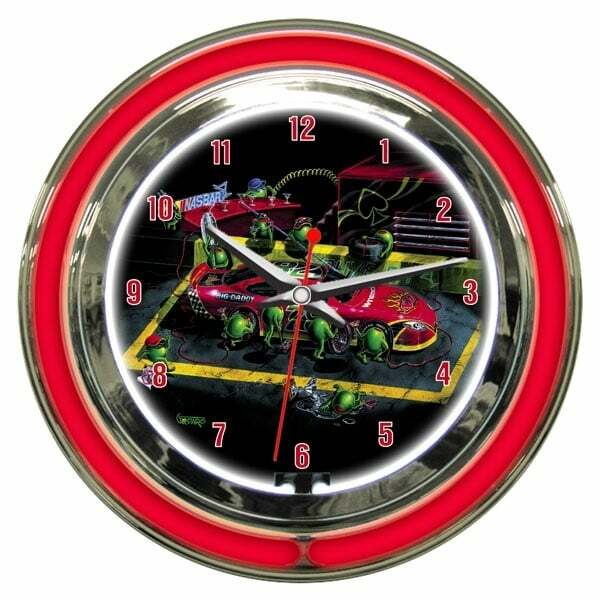 A great neon-light wall clock for any NASCAR fan!